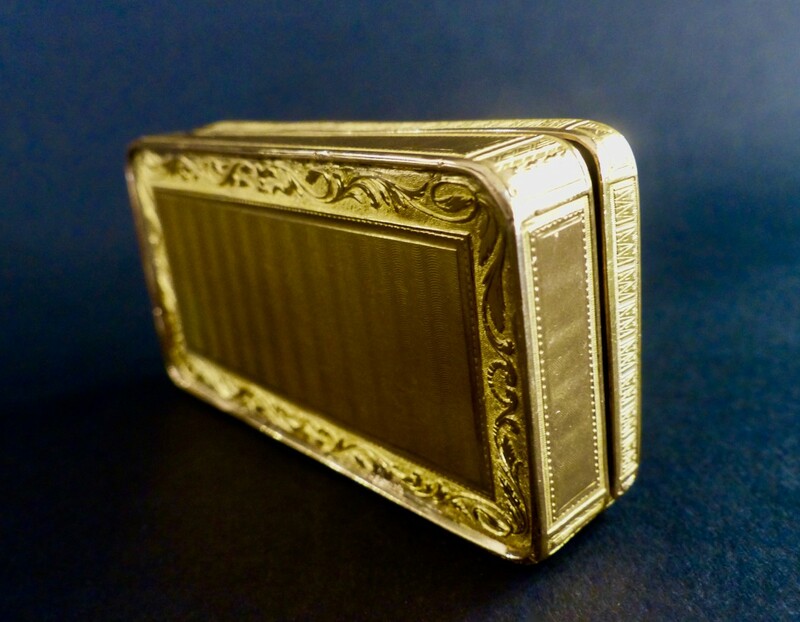 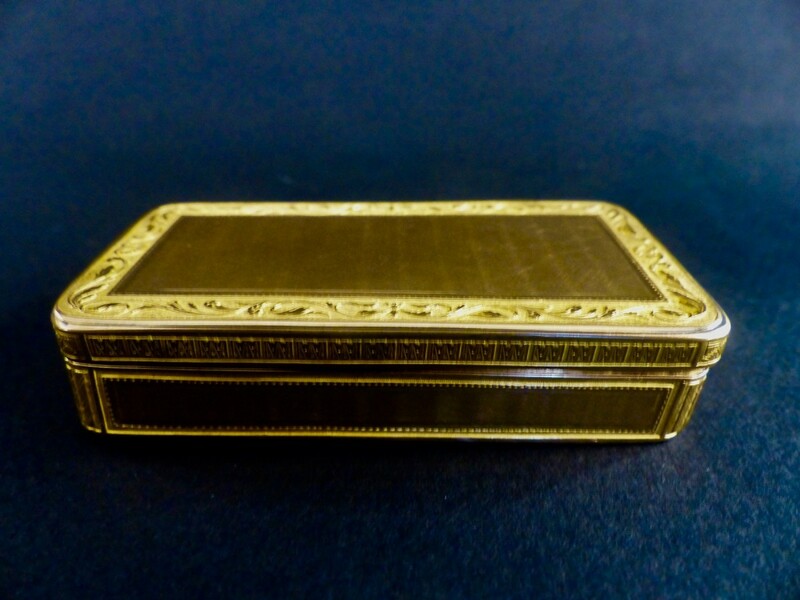 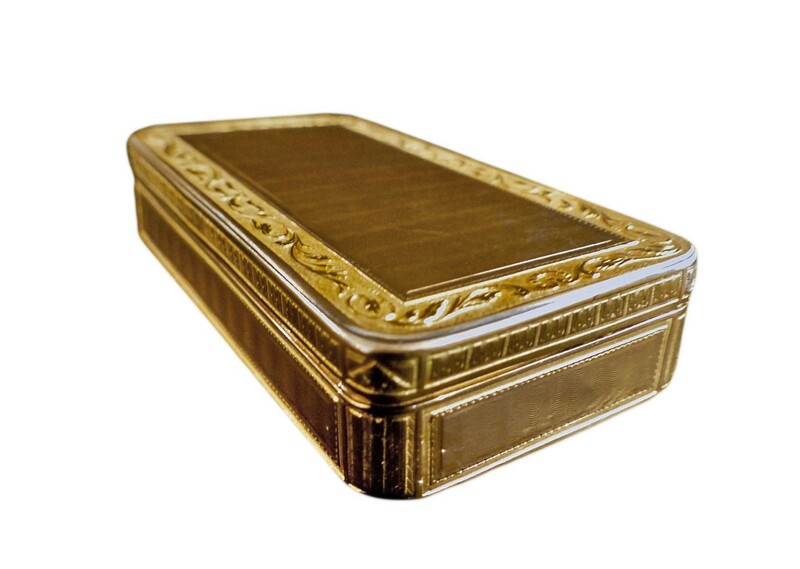 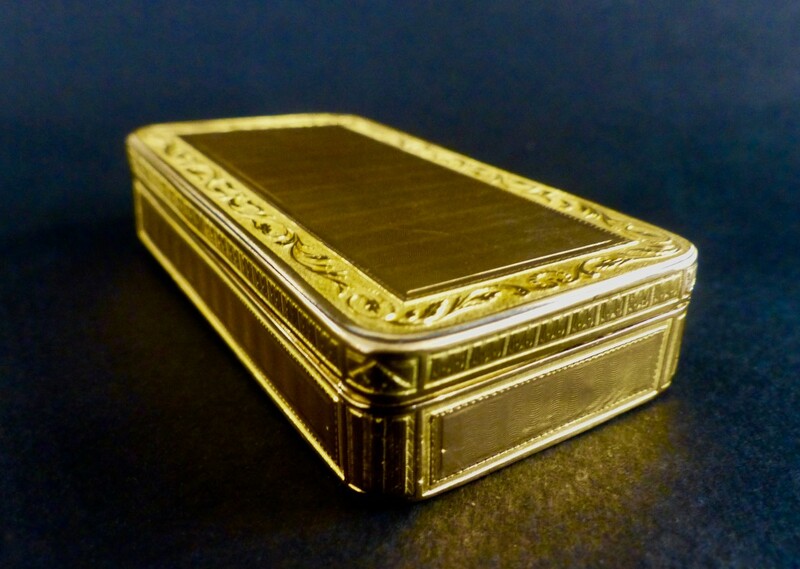 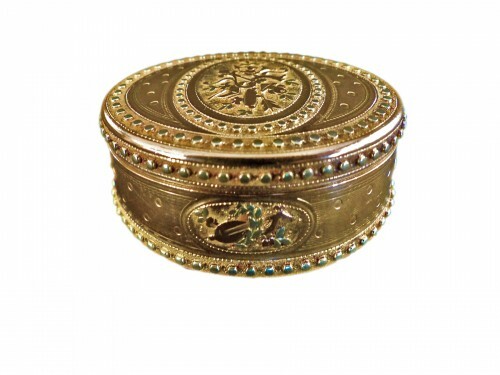 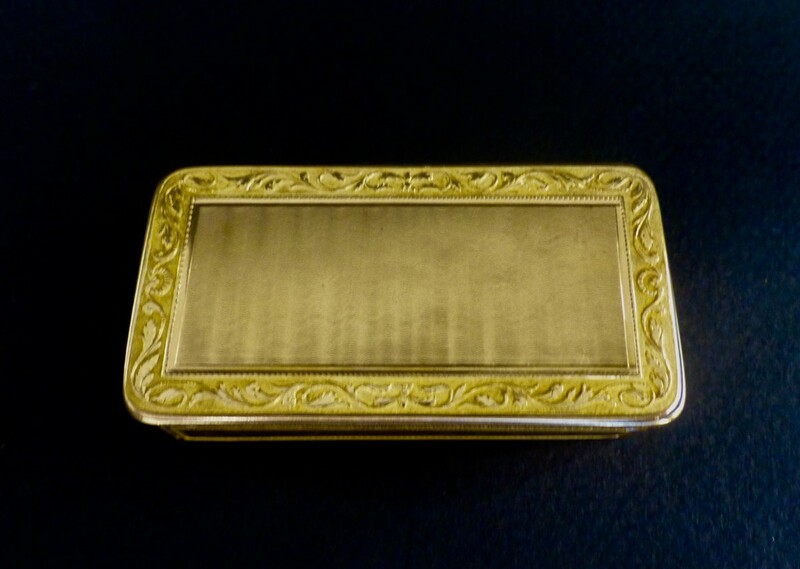 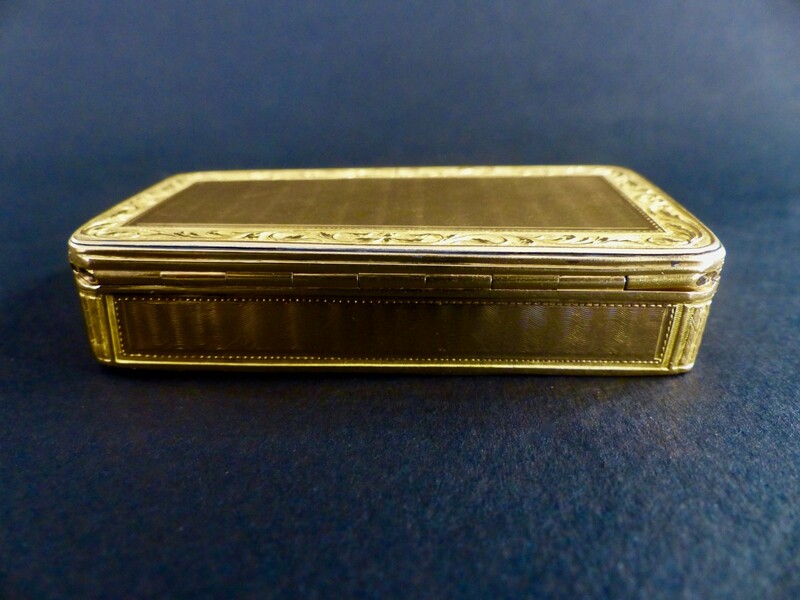 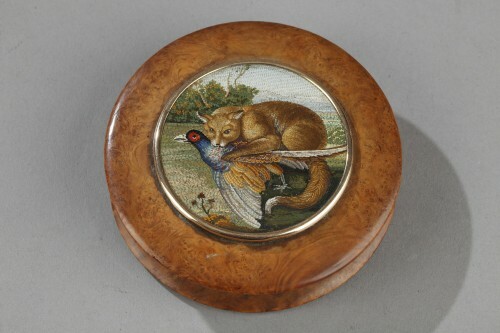 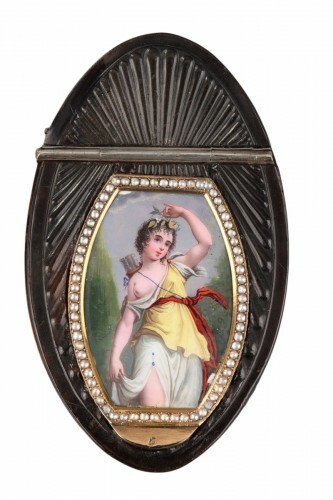 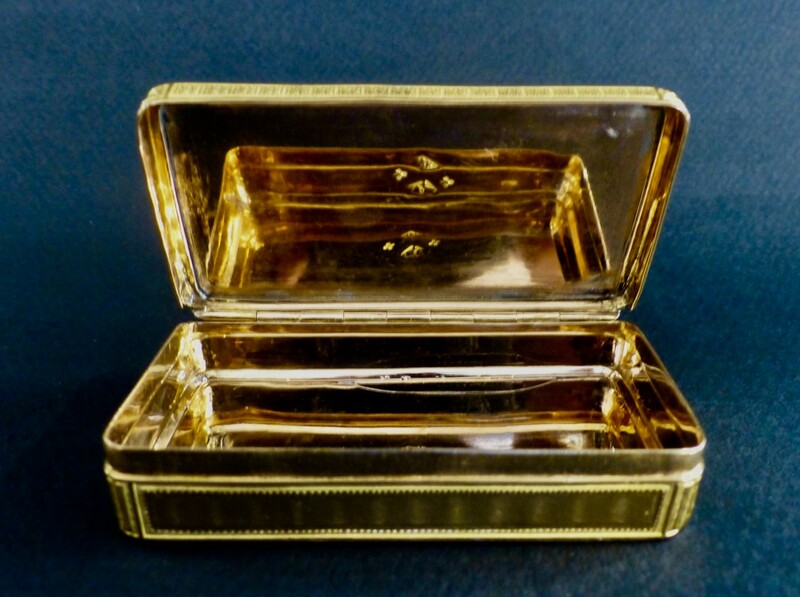 Small gold snuffbox. It presents on all sides a guilloche pattern of waves. 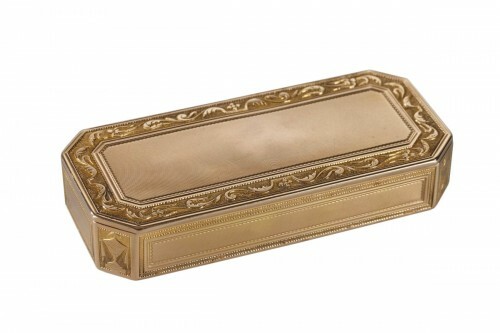 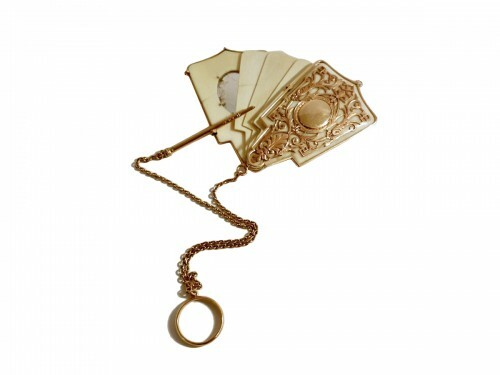 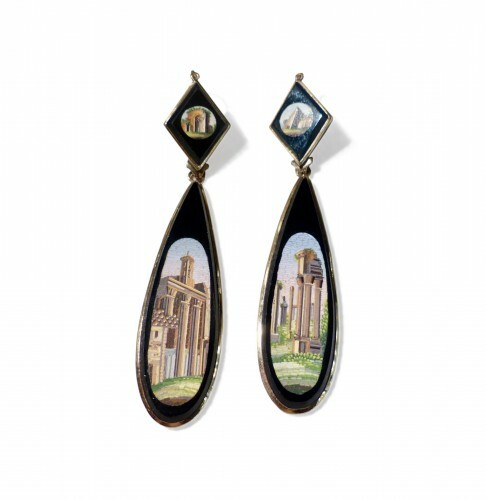 the matt and shiny golden outlines are adorned with foliage scrolls. 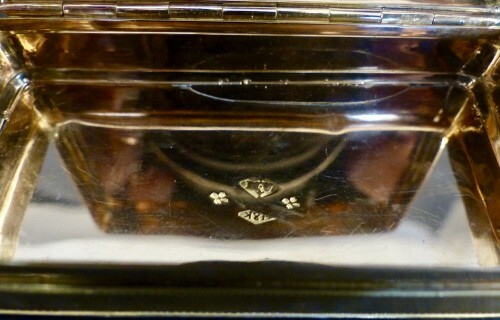 Hallmarked on the 1798-1809. Old restoration on one side of the inside.